Hydrabad: All India Majlis-e-Ittehadul Muslimeen (AIMIM) chief Asaduddin Owaisi challenged Prime Minister Narendra Modi to speak out against those who force-fed cow dung and urine to Muslim men in Haryana. “Jokers, cowards from your organization beat them and fed them gobar”, he said. “Haryana has your government. Will you condemn this? Why won’t you speak against this? Will the home minister speak against this? Will the CM condemn this? Will they get arrested?”, Owaisi asked. 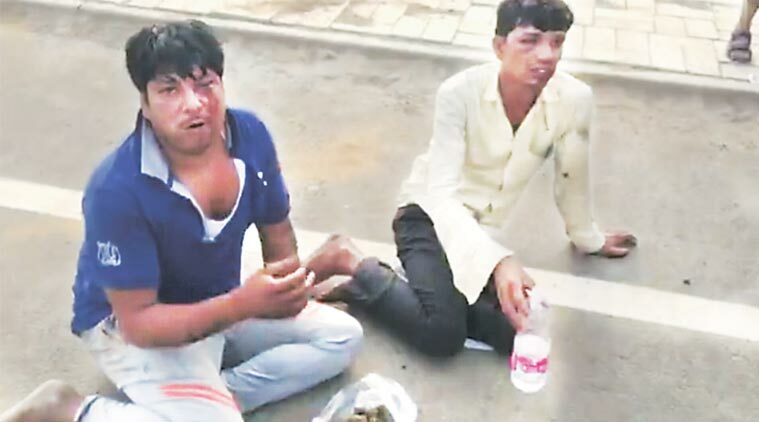 Gau Rakshak Dal chief Dharmendra Yadav admitted that his group had forced two muslims to eat cow dung and drink cow urine. He said, “cow dung was holy and they had in fact cleansed their sins and there is nothing wrong in taking the law in their hands when it came to protecting the cow and violators of laws against cow slaughter deserved such treatment”. The incident took place on the Kundil – Manesar – Palwal Expressway near the city of Faridabad in northern India’s State of Haryana.